Minnehaha Creek Park	Canoers, kayakers and all park goers enjoy the idyllic scenery amid an urban residential environment. Tennis Court located next to the pedestrian bridge across the creek on Morgan Avenue South and West 52nd Street. 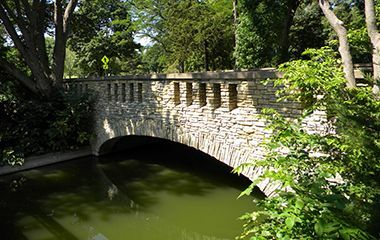 Canoe launches located at the intersection of Humboldt Avenue South and West Minnehaha Parkway on the Southwest bank (South of Lynnhurst Recreation Center) and at Lake Longfellow Lagoon (Minnehaha Parkway and Longfellow Gardens). Name: The name is descriptive. 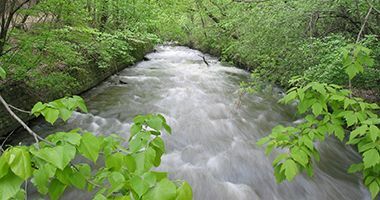 Minnehaha Creek had been desired by early park boards for the scenic connection it provided from Lake Harriet to Minnehaha Falls. Much of the land along the creek from Humboldt Avenue to the east was acquired beginning in the 1880s. The creek upstream, or west, from Humboldt Avenue, however, didn’t hold much interest for the park board. The area was mostly open land. 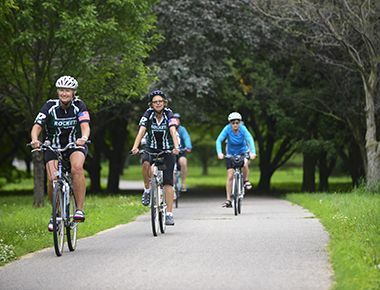 Lake Harriet was far enough from the city; the park board wouldn’t have met with much enthusiasm for a park along the creek even farther from town. 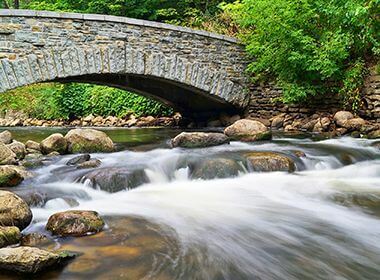 It wasn’t until 1919 that the first suggestion was made to acquire the creek to the west and then, unlike most other suggestions for new parks, the idea was introduced by a park commissioner, Phelps Wyman, not residents of the area. Phelps Wyman was also a landscape architect who created the first designs for what is now Lowry Park. 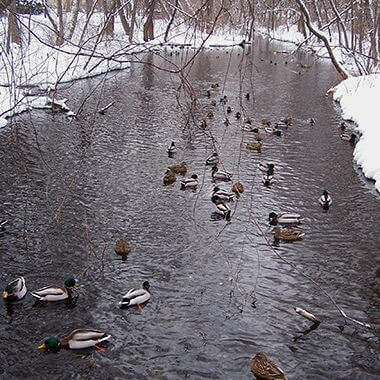 In 1920 the park board approved the acquisition of the creek from Humboldt to Newton Avenue and later revised the plan to acquire the creek as far as Penn Avenue. From the time the acquisition was first presented, however, it met opposition. 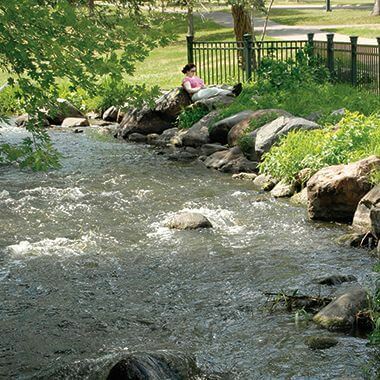 Two commissioners on the committee that recommended acquisition filed a minority report in which they disagreed with the acquisition citing the fact that park superintendent Theodore Wirth had said that section of the city already was “amply provided” with parks. 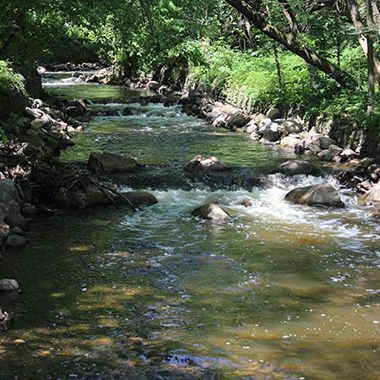 They also objected to claims that park board ownership of the creek would improve water flow in the creek or improve the “sanitary” conditions of the creek, because the park board didn’t control the creek upstream from Minneapolis’s city limits. The debate over the acquisition flared up periodically for the next eight years. There was always considerable opposition from property owners in the area who would have to pay for the acquisition through assessments on their property. Resolutions to acquire the creek were passed, then abandoned, three times, including an attempt to purchase the creek all the way to the western city limit at Zenith Avenue in 1924. 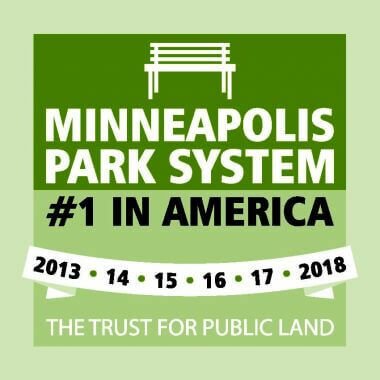 An attempt to acquire the land in 1923 was abandoned when a number of property owners appealed the appraisals of their land by the park board and appraisers appointed by the district court doubled the awards. Finally in late 1928 the park board voted to acquire the land by condemnation. 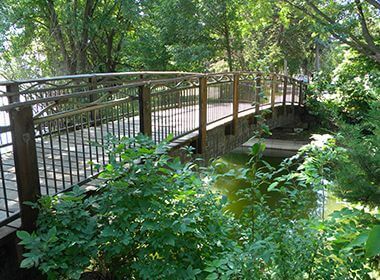 It took more than a year to complete the transactions, but in 1930 the park board finally owned the entire banks of Minnehaha Creek within the city limits, from the Mississippi River to the city’s boundary with Edina. 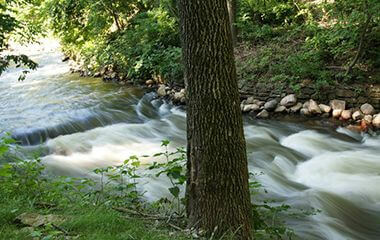 The 39 acres of creek and land were purchased for just over $100,000. The cost of the purchase and $65,000 for improvements were assessed on property in the neighborhood over ten years. Wirth presented his initial plan for the improvement of the property in the 1928 annual report. Those plans were implemented in 1931. The entire length of the creek bed was graded to a gradual slope and the creek was redirected in places to conform better to the boundaries of the land the park board had acquired. Sidewalks were built along much of the creek that year. Tennis courts were built near 53rd and Morgan in 1932, along with a concrete and steel footbridge over the creek near the courts, and a softball field was built on the meadow south of the creek next to Penn Avenue South. Because some homes were already located near the creek banks, and the banks of the creek are very steep in some places, a parkway along that section of the creek was never considered. Canoers, kayakers and all park goers enjoy the idyllic scenery amid an urban residential environment. Cold and snow don't mean the animals disappear! 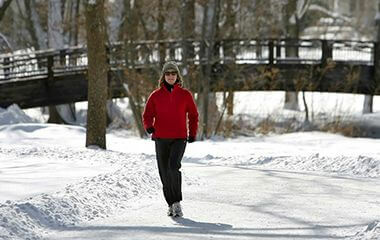 Whether you walk, run, or ride, trails along Minnehaha Creek offer spectacular views all year long.